Welcome to everyone from Kingston, Jamaica. I'm doing something new, liveblogging from the Jewish Diaspora of the Caribbean conference at the beautiful and impressive Pegasus Hotel. If you have any questions for the participants, add a comment here, and I'll do my best to get an answer. I think tomorrow, I'm going to add some sort of live blogging software to the page, perhaps Coveritlive. What do you think? The conference started this morning and runs the next two days. It's an amazing coming together of academics, genealogists and local Jews interested in sharing their stories. Ainsley Henriques opened the conference with a shehecheyanu blessing and a welocme to everyone. Jane Gerber, conference co-chair and Professor of Jewish history and former director of the Center for Jewish Studies at the Graduate Center of the City University of New York spoke on the importance of this sort of event. Most importantly, the importance of having the conference in the Caribbean rather than, for example, New York. it's vital to not only talk about the synagogue of Jamaica but also to walk on its sandy floor; there is the hope that the conversations that are generated by the event will be open-ended, flow from the room to the coffee break and beyond....also papers will come from these deliberations. There are many subjects to discuss: we hope to engage in discussions on forms of identity..multi-dimensional, multiple jewish identities; building of nations of the peoples in the area. what roles did the Jewish community play in the development of the region? Swithin Wilmot is the Dean of the Faculty of Humanities and Education and Senior Lecturer at the University of the West Indies: Dr. Wilmot welcomed the guests and asserted that "there's no doubt that the Jewish community is at the heart of the history of Caribbean history and culture." We will explore so many aspects of this history over the next 3 days. Speaking now is Gerard Nahon from the Ecole Pratique des Hautes Etudes, in Paris. He's discussing Amsterdam and the Jewish nation in the Caribbean during the 17th century. Holly Snyder from Brown University is now speaking on the subject: What Jewish Merchants contributed to Jamaican culture, 1670-1831. Ms. Snyder is North American History librarian at Brown University's John Hay Library where her responsibilities include Modern Judaic Studies. She's currently working on a book-length manuscript entitles "Geographical Destinies: jews, Conversos and Crypto-Jews in the Age of Mercantilism, 1500-1800. 2:00pm Rachel Frankel is talking about new technologies DIARNA, and the importance of cemetery research. 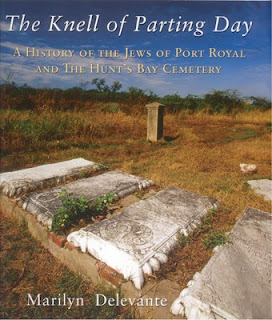 The International Survey of Jewish Monuments (ISJM) has an interesting page on the Jewish Cemetery of Hunt’s Bay and Orange Street Cemeteries in Jamaica. There's a fascinating new book on the subject called: The Knell of Parting Day, by Marilyn Delevante. 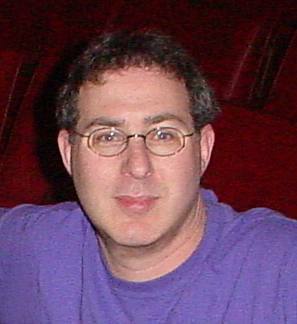 Are you a descendant of Caribbean Jews? Let me know. Have a question for an expert IN JAMAICA? Send me a message or comment here. Naomi Feuchtwanger-Sarig speaks on the mourning customs of Portugeuse Jews, their rituals, including the use of the colour black. The iconography of Jewish grief suggests the use of black as a sign of mourning is very old; but its origin as a ritualistic colour is vague. Texts in the mishnah record the use of back during the 30 days of bereavement (sheloshim); this custom was maintained in Spain for generations, and continues in Sephardi Jewish communities to this day. Some really interesting questions coming out of this talk: what is the origin of the iconography of the skull and crossbones in the Caribbean, and about the image of a tree being felled common on tombstones in Jamaica. I'll address these questions later, perhaps in the Jerusalem Report article. That's it for today. This has been fun, and tomorrow I'll be set up a little differently. If you know anyone else who may be interested, please pass along the web address. I'm hoping I'll get a few questions tomorrow which I'll bring to the attention of the relevant guest speaker. Tomorrow's speakers include: Mordechai Arbell, Ronnie Perelis, Hilit Surowitz, Judah Cohen and Ed Kritzler, whose book Jewish Pirates of the Caribbean, I reviewed for the Jerusalem Report last year. I'll try to add pdfs of the review later. Posted by Morey Altman at 1/12/2010 06:18:00 p.m.
Is there any evidence of jewish Pirates having a presence there at any point in time? But, we're going to talk about Jewish pirates tomorrow when Ed Kritzler speaks.